Pop-up tents form the aisles of HOPE Farmers Market at Saltillo Plaza in East Austin. Photos/editing by Olivia Starich. 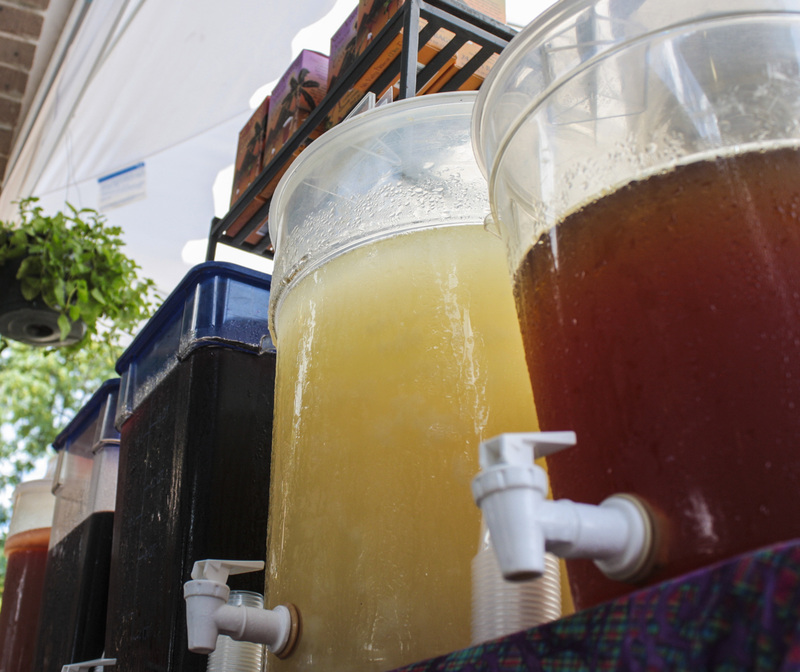 On Sundays, Plaza Saltillo becomes more than a plot of concrete park. 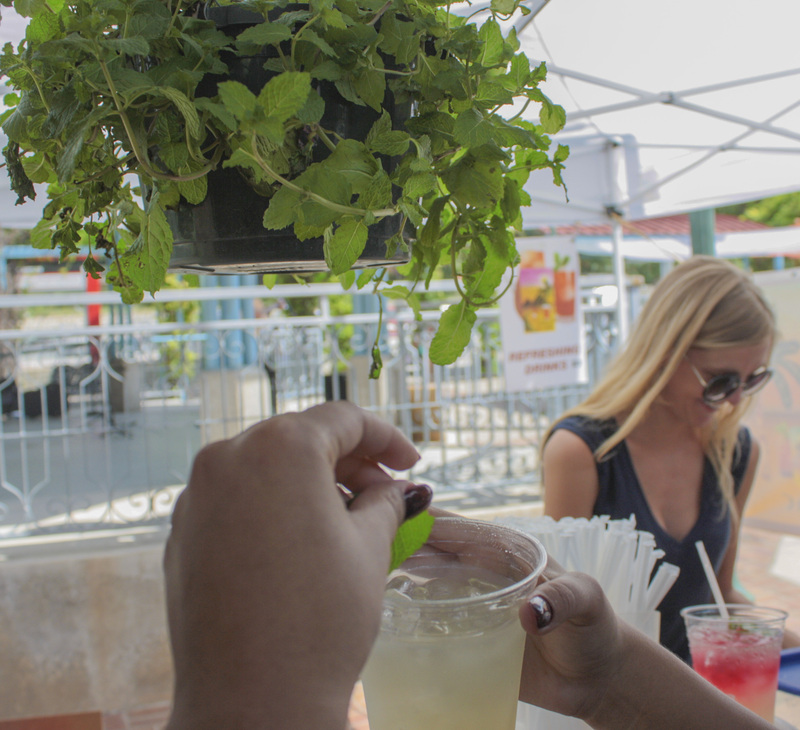 The community space, nestled between the railroad tracks and a public housing complex on the intersection of 5th Street and Comal Street, transforms into a mosaic of booths and tents showcasing some of Austin’s local vendors. 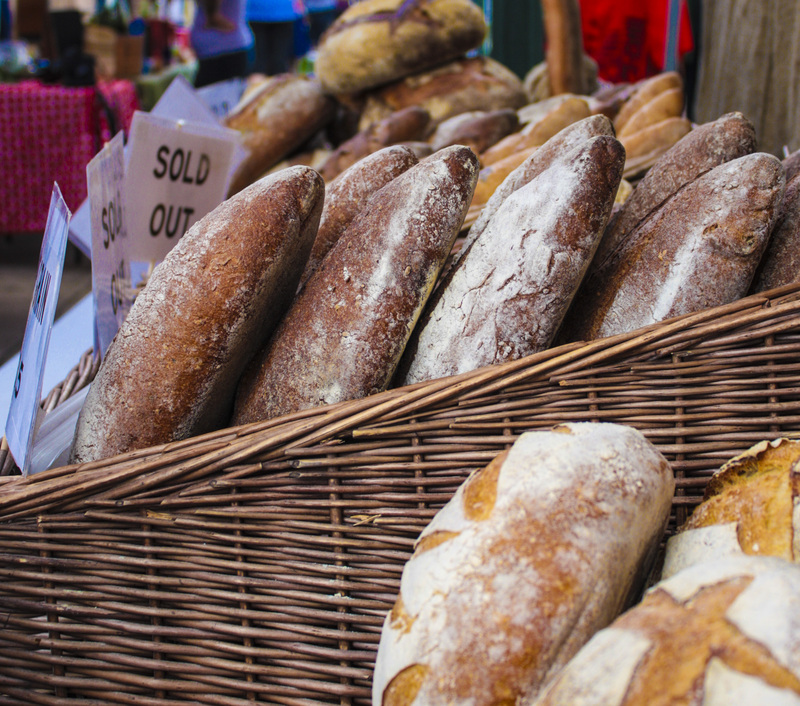 Called the HOPE Farmers Market, the weekly four-hour event (rain or shine) gives farmers and artisans a chance to sell their homegrown and homemade goods. 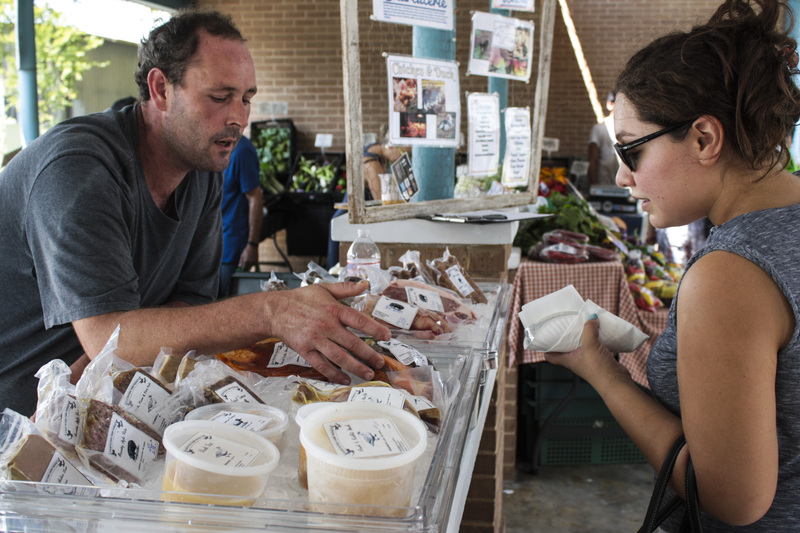 For Austin, the local food system includes five types of participants that buy and sell local food: small- and large-scale farmers; farm-to-table liaisons; local food retailers (farmers markets, restaurants and grocery stores); local food awareness organizations and local food consumers. In Austin’s 2013 Economic Food Sector Report, all of these participants contributed to the more than $4 billion expended on all food in Austin in 2011. 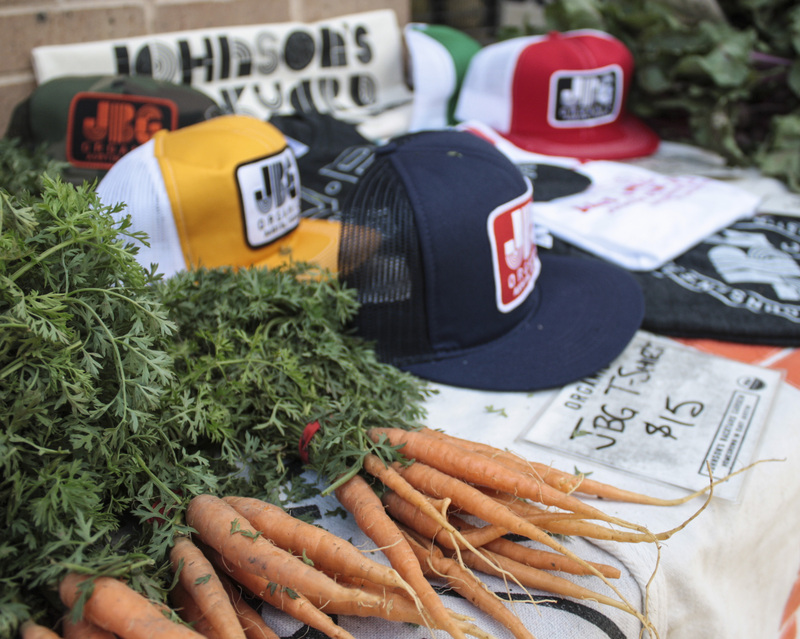 Although the amount spent specifically on the production, distribution and consumption of local food in Austin has not yet been quantified, those involved in the local food movement can speak to its impact. John Lash, the founder and owner of Farm-to-Table LLC., created his company to help bridge the gap between Austin’s farmers and food retailers. In 2009, he began buying produce from small- and large-scale local farms to sell to restaurants. According to a 2007 U.S Census, there are almost 9,000 farms serving the Austin area; Lash aims to serve as many of these as possible with the goal of helping restaurants access local food sources. However, supplying restaurants with local food comes with its own set of problems. Seasons, drought, freezes and other environmental factors can keep farms from producing year-round (or at all) and crop availability varies. Despite the large impact of the environment, Lash said that the biggest barrier to supplying locally-sourced food is distribution. “The challenge is less being able to provide and how to get it from the farmer to the customer,” Lash said. 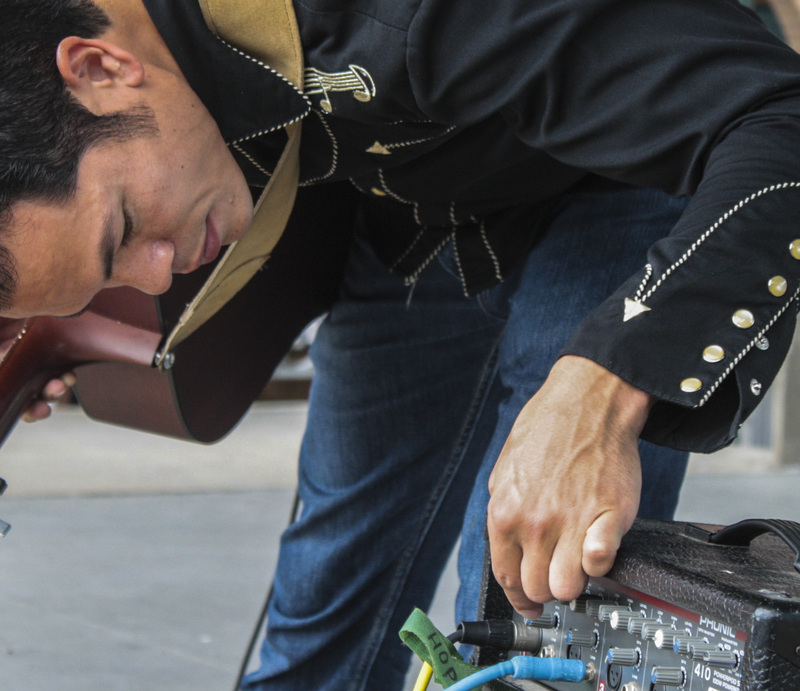 Lash coordinates with multiple farms each week to provide local food to his clients, which include low-price restaurants like P. Terry’s and more expensive establishments like Vespaio on South Congress. He either accepts deliveries or picks up produce from the farms himself. He also sells to seven Austin schools, so the cafeterias can incorporate fresh produce into the schools’ lunches. “Hopefully, more and more schools will demand that, so that all of a sudden students are exposed to the idea and understand the [connection] between X and Y [farmers and food on the table] as they grow up,” he added. 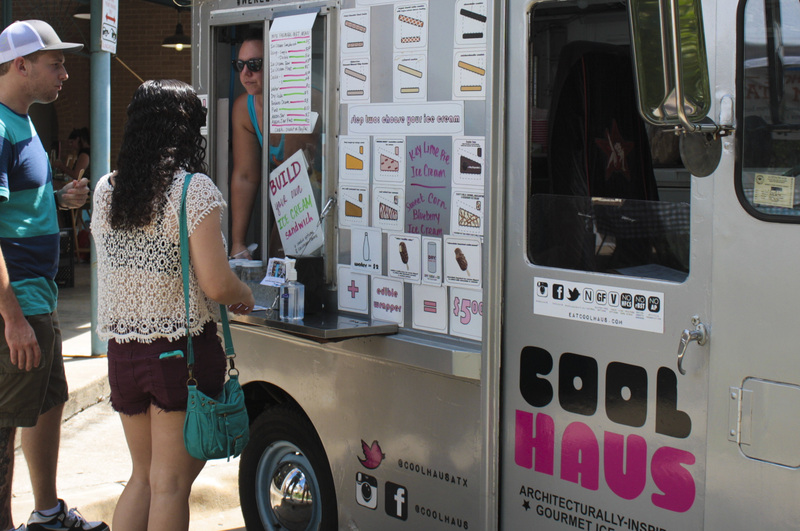 Other organizations, like Austin’s Urban Roots, have tried to intercept local food ignorance by exposing the public to local food at a younger age. The non-profit, which had its beginnings in East Austin, offers 30 local youth paid internships to run a 3.5-acre farm every year. The project typically harvests about 30,000 pounds of produce per season to be sold at farmers markets or donated to local food kitchens. Max Elliott, Urban Roots’ executive director, said that the program aims to connect kids to agriculture, while teaching them the values of hard work and sustainable lifestyles. To maximize their impact, Urban Roots also takes young students on farm tour field trips, and the group plans to visit classrooms this year to spread local food awareness. Elliott said that although Urban Roots has had its successes, Austin’s local food movement still largely lacks accessibility. 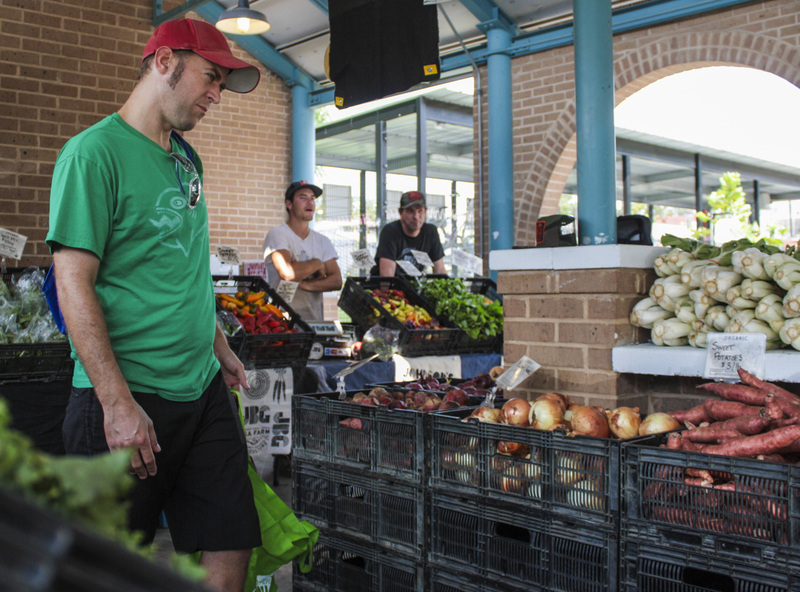 Austin is also home to groups that try to promote awareness of local food among adults. Slow Food, the Austin branch of a national organization that considers itself a response to fast food, focuses on reconnecting people with the food they eat. The group hosts free, open educational events to teach the public about various food topics, such as gardening, seasonal food and the importance of food appreciation. 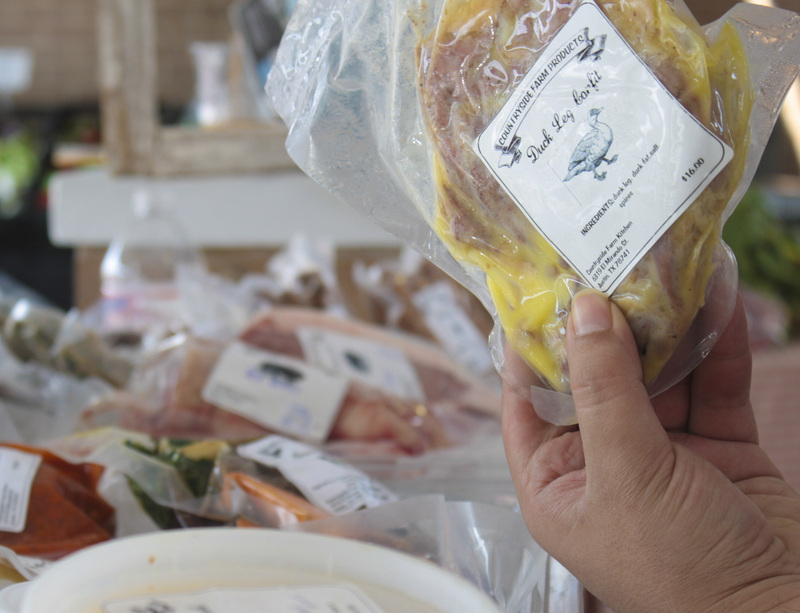 “A lot of our programs grow organically from either the feedback we hear from members in terms of educational topics or areas where we know there is a lot of need locally for fundraising or awareness,” Ashley Cheng, Austin Slow Food representative, said. For HOPE Farmers Market manager Matthew Olson, local food system awareness and communication between farmers, citizens and the city are important for the survival of their market. For example, citizen complaints in December of last year concerning local, urban farms resulted in radical changes for Austin’s urban farm codes. Raj Patel, a local food activist and author of the novel “Stuffed and Starved: The Hidden Battle for the World Food System,” said these conversations between farmers, the community, and local government are important for developing any urban area’s local food system. The more that grassroots movements such as small urban farms get people talking, the more inclusive the conversation about local food becomes, he said. “There’s a dialectical relation between what the government does and what grassroots demand and how people demand it,” Patel said. 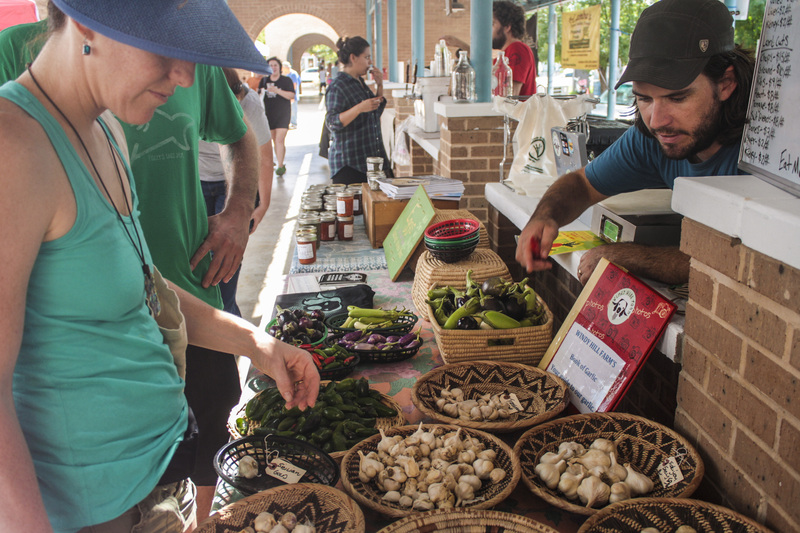 In this sense, the conversation which drives Austin’s local food system is expanding and local food is now incorporated into many of the city’s communities and institutions. 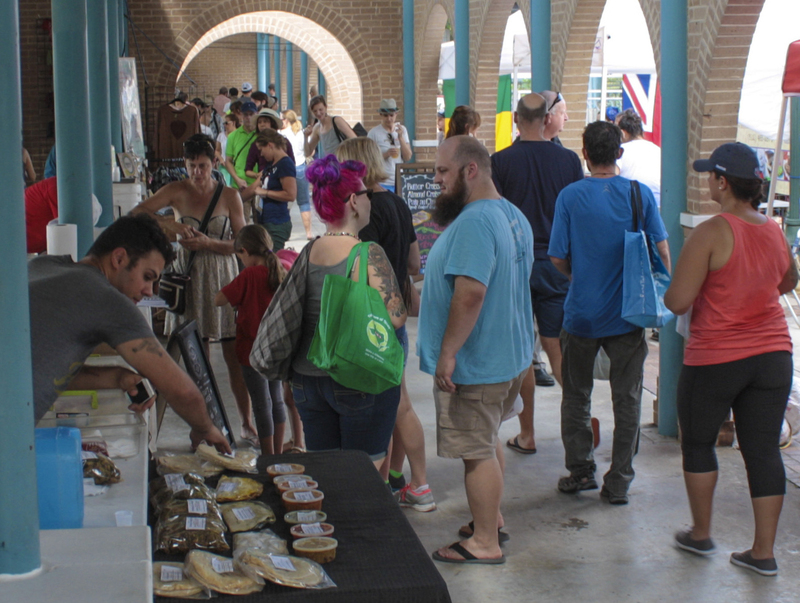 Similar to HOPE Farmers Market, the Sustainable Food Center hosts multiple farmers markets in various Austin areas, from downtown to the Sunset Valley. To provide access to various socioeconomic demographics, these markets offer the Double Dollar Incentive Program (DDIP), which allows families and individuals who receive SNAP benefits (which were formerly food stamps) to double the dollar amount that they can spend on fruits and vegetables. Even the University of Texas at Austin has made a move toward local food, with the development of its own student-run micro-farm, which plans to provide the campus’ cafeterias with organic, locally-grown food. 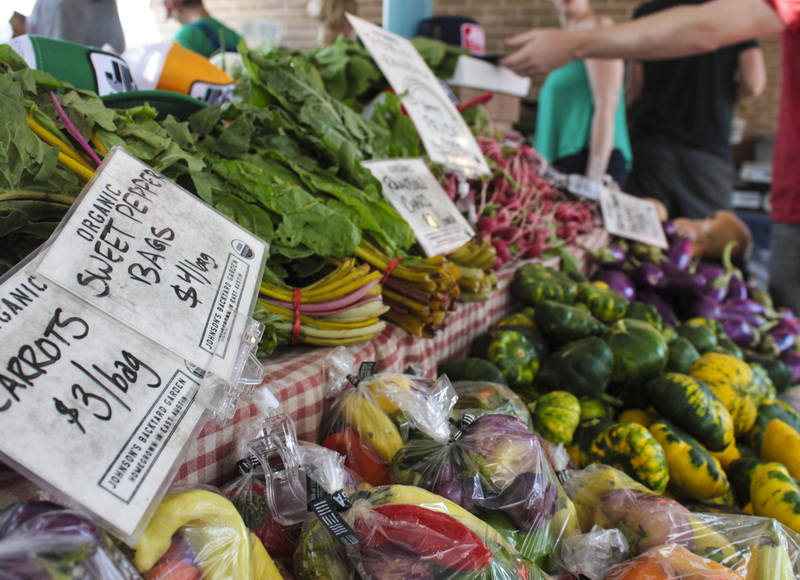 No matter how Austin’s local food system manifests itself, the movement is bound to grow. In a recent report published by the USDA, consumers have shown a significant want for more organic, local food in their diets. “People [in Austin] are ready to look out for one another and to take fairly unusual steps to be able to put their money where their mouths are,” Patel said. But, as with any local food system, Patel said that the continuation of the movement goes beyond asking simple questions about local food’s production, distribution and accessibility. The true questions lie in making an urban area’s local food system a profitable part of the city’s economy. Austin’s local food system has only gained momentum throughout the last five to six years and the direction and success of the movement is hard to pinpoint. However, community members within Austin’s local food movement, like HOPE’s manager Olson, believe that more people are bound to catch on.